The continually expanding PrintBlade doctor blade business is seeking a wider network of international distributors to help promote and sell market-leading UK manufactured blades. Each month we are seeing interest in our blades increase – so to meet this rising demand for the PrintBlade range we are looking for new international distribution partners to join our team and share in our success as we expand. As a PrintBlade distributor, you will reap the many business-building benefits of partnering with one of the industry’s most trusted and sought-after doctor blade manufacturers. 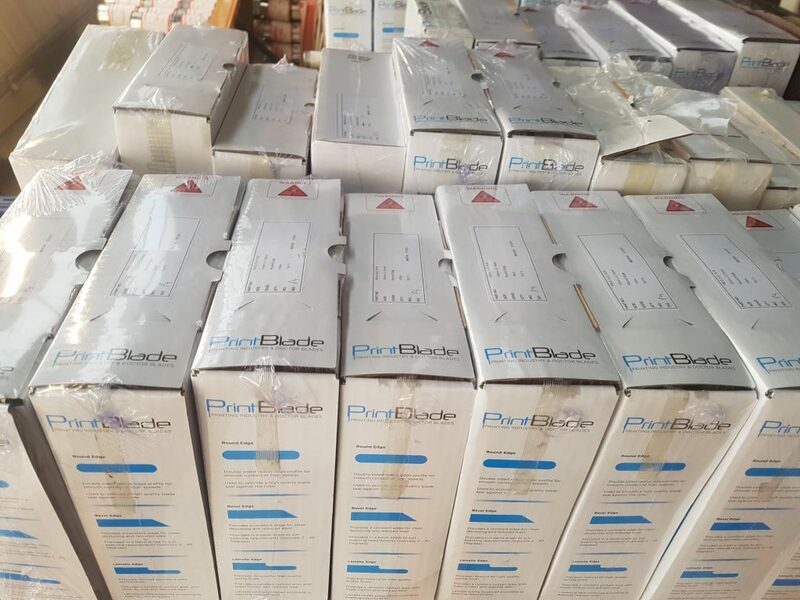 Distributing PrintBlade doctor blades give you the opportunity to set your business well above the competition so that you can attract more new customers and generate greater sales and profits. We offer a different approach to many other manufacturers – with our distribution partners at the heart of our business model. We’ll give you all the support you need, and we make doing business with us as easy as possible. We’ll supply the exact lengths that you need, when you need them – at competitive prices helping you win more sales. We never compromise on quality, every blade is manufactured in our ISO9001 certified UK factory from especially selected European steel. Our large range of grades, thicknesses and edge profiles gives you the opportunity to serve a wider customer base. A friendly, supportive team who will work hard to ensure your success. We’re easy to deal with and passionate about helping our distribution partners succeed. We ship from stock with a fast turnaround, so you can provide an exceptional service level to your customers. You will have access to the full PrintBlade range, all precision-manufactured in our own Sheffield plant and supported by exceptional customer service and and aftercare. We’ll never attempt to compete with you. We will never flood an area with distributors. You will be able to beat your competitors not only on quality and price, but on flexible delivery too. We’ll support you every step of the way with unrivalled service from our professional team. As a division of award-winning manufacturer Fernite of Sheffield Ltd, PrintBlade offers a high standard of customer service, including professional advice and fast quotations. Our friendly, efficient customer service team will ensure your success as a distributor. After all, we’re working together for the best results all-round. If you are interested in taking up this opportunity to distribute UK manufactured Doctor Blades with a world-class reputation for quality and service, please get in touch. Copyright © 2018 Fernite of Sheffield Ltd.
PrintBlade is a division of Fernite of Sheffield Ltd.
Fernite Works, Coleford Road, Sheffield S9 5NJ.